Info: Created on 6th November 2008 . Last edited on 29th June 2009. Wow! The texture effect, the highlight of the grid, the slight slant, the use of basic shapes... all in one font! Very, very clever! Phew! I wouldn't know where to begin designing a font like this. Excellent work. man you just blew my imaginaries from boundaries or whatever you english talking people would say it! >THIS was/is far away from the range of MY radar. That slanting effect makes a nice optical illusion. The dots along the edges are all vertically aligned. Well done. Characters I'm not too keen on though. M,W,g,j,p,q, and the number 0. I think the M & W should be wider, and I would prefer g,j,p,q with descenders. so beautiful and difficult to do i suppose !respect ! This font makes me dizzy, but I mean that in a good way. I love optical illusions, and this would appear to be sloped upward, when in fact, it is straight. 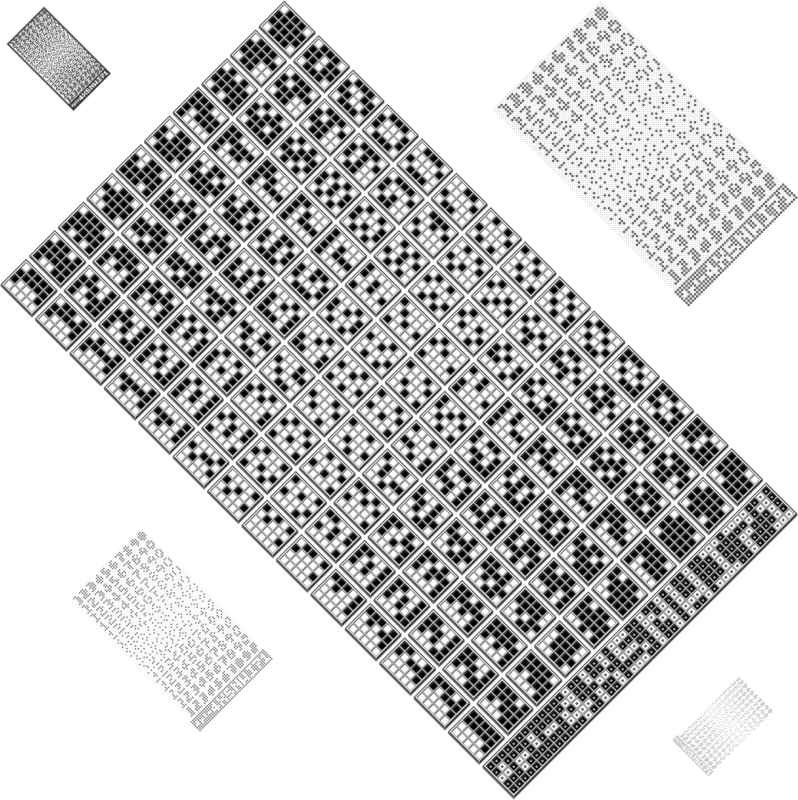 Proof that a FontStruct master can create diagonal matrices too! Very Good!! a very interesting font indeed.. it looks a bit like newsprint. or screen printed text or something like that! 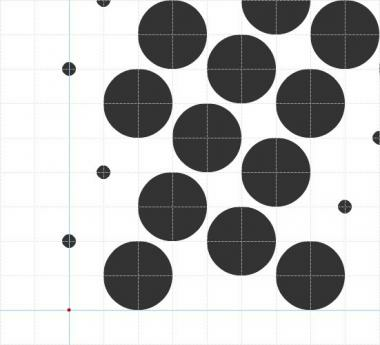 Make a solid version no dots!